The core of the Milky Way rising above Frisco Pier, captured early morning June 2017. North Carolina. 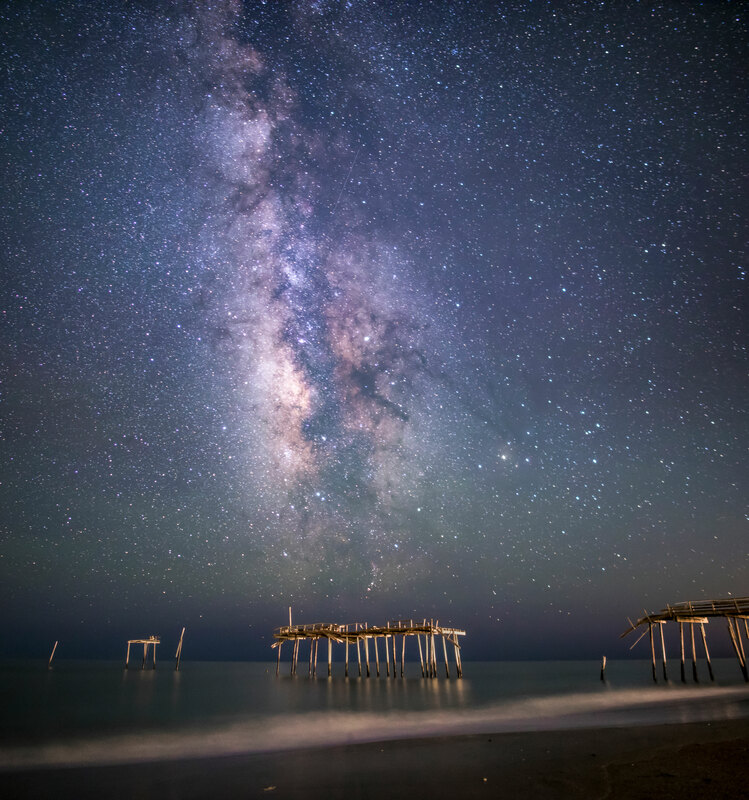 The dark skies of the Outer Banks always leave me in awe. Stitched together from a three image vertorama.